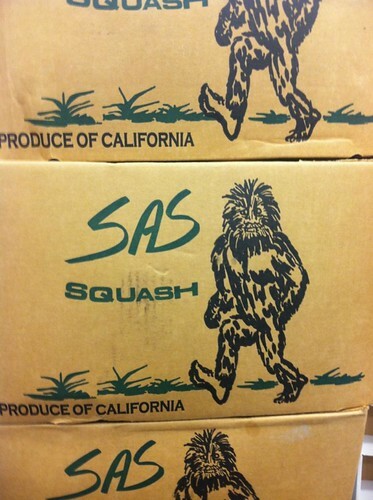 There’s been a lot of Bigfoot sightings recently… in the food world! While Jack Links Beef Jerky is the most popular in product placement (especially with a variety of hilarious television commercials), we spotted Sas Squash at our local Sprouts. Paul is a Bigfoot fan and is terrified thrilled with all this exposure. 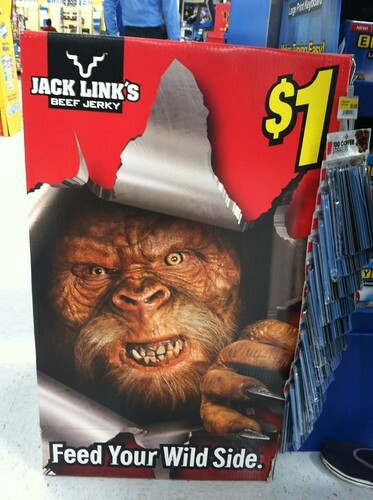 I wonder if the hairy hominid wants a cut of the profit. Am I missing any other recent sightings… in the grocers’ aisle?